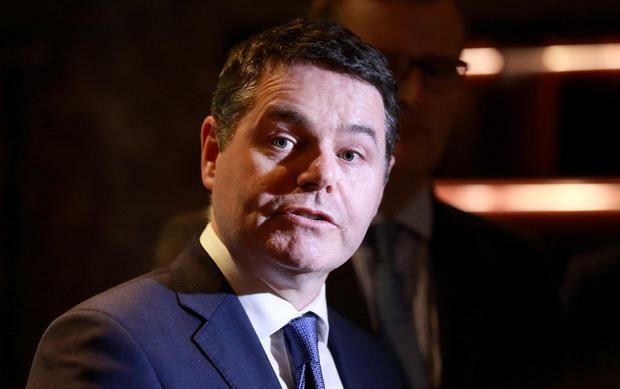 LOCAL Property Tax won’t increase until at least 2021 in a bid to “avoid a sudden surge in bills”, Finance Minister Paschal Donohoe has said. The LPT was due to increase later this year but has been deferred for at least another year following a review by a number of government departments. Mr Donohoe acknowledged that the announcement of LPT reforms could be seen as a ploy ahead of the local elections but denied this was the case. Speaking on RTE Radio One’s Morning Ireland, he said: “My message is very clear this morning, it’s two-fold, firstly, people now know where they stand until 2021. “Secondly, I want to keep and reform a Local Property Tax, and I want to avoid a sudden surge in bills early next year. He also rubbished suggestions that the deferral was influenced by voters in South Dublin. Mr Donohoe said: “This is a national issue, this is a property tax that everyone pays. “I represent a constituency in north Dublin and it’s as much an issue for them as it is for constituents across the country. He said that he can understand that some people may pay more than their neighbours due to a sharp increase in property prices over the last few years and he wants to overhaul the system. “This is why I want to put in place a deferral for a further year because of the fact we have a valuation date that’s now a number of years old and some inequities do exist in terms of some who pay and some who don’t pay. “I want to ensure in the deferral period of just one year, as opposed to the last period that was a number of years that we can reach a consensus for legislation for the LPT so that this tax code is an even more important part of tax policy in the future,” he said. He stressed that changing the LPT is “complex” and he will publish a report on the options available to him regarding the future of the levy today. Mr Donohoe said that he has started preparing Budget 2020 and the risks to our economy that Brexit could bring. “I am working on getting ready for budget 2020. That work is underway. In two weeks’ time we will be bringing into Cabinet an update on our economic forecast now for the coming years.